From the Unknown Fields Division 11/12 Far North Alaska Studio run by TTT’s Liam Young and Kate Davies comes a new project by Will Gowland. The world is now concealed and manipulated in ways that make answering the question of where am I an impossibility. Glitches in the big and fragile infrastructures of Global Positioning systems mean we are sometimes both here and there, as a pulsing blue dot locates us to within 500metres. What are the implications of a navigational system based solely on the virtual? Will Gowland, in our Department of Landscape Glitches has jammed the GPS networks and revealed an alternative virtual topography, a territorial architecture of spoofed cartography. It is an emerging landscape that operates and exits in two parallel worlds, the physical and the virtual. Imaginary protest icebergs drift through the autonomously navigated oil shipping lanes. We get lost in a wilderness of illegal signal jamming formations and we glimpse the faint flicker of covert militarised GPS territories, super stable under a secret sky of black satellites. Some are landscapes of misdirection, others are navigational markers guiding one safely through unstable terrain. We now put our faith in a digital territory that is just as unknown and fallible as the physical. Imaginary gps ghost protest icebergs drift through the autonomously navigated oil shipping lanes. 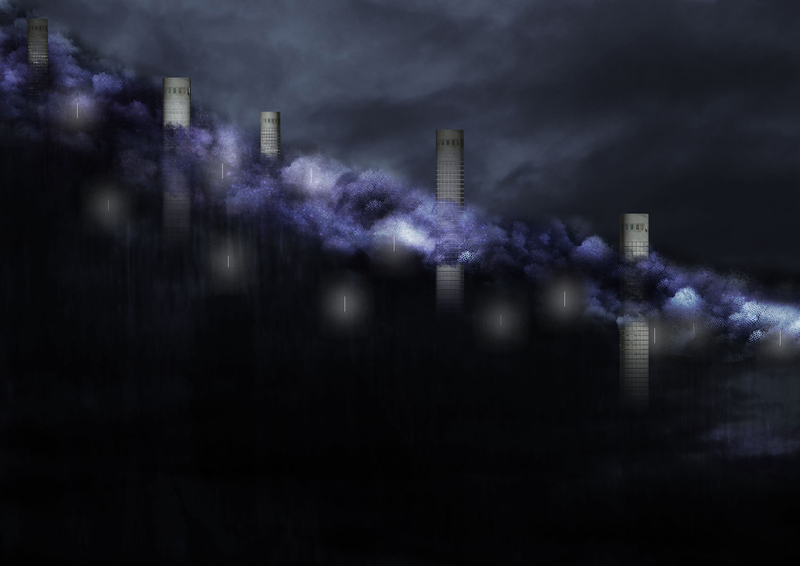 An illegal oil field is hidden in a GPS spoof, a digital landscapes of misdirection. From the Data Archaeology Lab in the Architectural Association’s Unknown Fields Division 09/10 Arctic Circle studio run by TTT’s Liam Young and Kate Davies comes Data Fossils by Tobias Jewson. Tobias, with Ioana Iliesu have explored what happens to our collective history when everything is digital. In the digital era our information no longer takes the form of the physical, but that of a electronic file stored in ‘the cloud’. Our collective history is quickly effaced from this fragile and ephemeral domain, a computer crashes, formats are quickly obsolete, a hard drive is lost and all is gone. With our attachment to physical objects and mementos becoming increasingly superseded by our relationship to information, what will we leave for future generations? From the Data Archaeology Lab in the Architectural Association’s Unknown Fields Division 09/10 Arctic Circle studio run by TTT’s Liam Young and Kate Davies comes Data Fossils by Tobias Jewson. Tobias has evolved his data fossils experiments from the intimate and personal attachments that calcify on our own bones into a vast digital geology of an internet archive cast into layers of volcanic glass across Iceland’s deserts. In the digital era our information no longer takes the form of the physical, but that of a electronic file stored in ‘the cloud’. Our collective history is quickly effaced from this fragile and ephemeral domain, a computer crashes, formats are quickly obsolete, a hard drive is lost and all is gone. With our attachment to physical objects and mementos becoming increasingly superseded by our relationship to information, what will we leave for future generations? 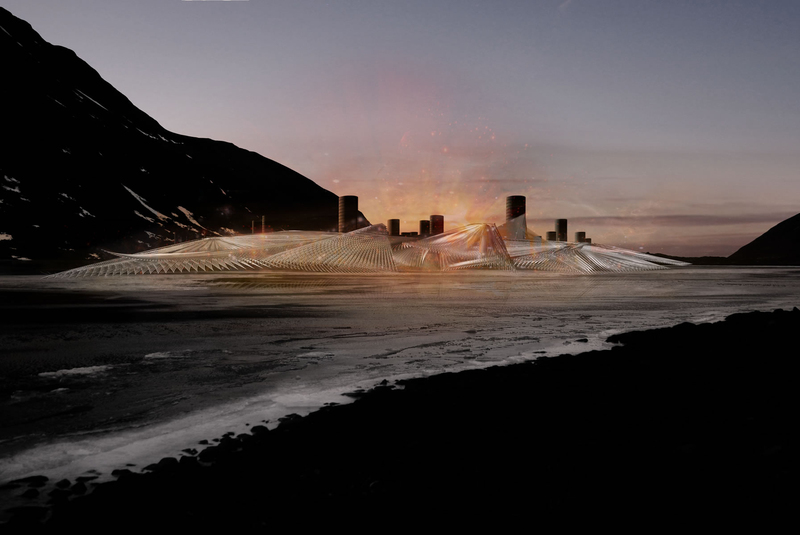 From the department of intangible technologies in the Architectural Association’s Unknown Fields Division 09/10 studio run by Liam Young and Kate Davies comes Scatterbrain Iceland by Jack Self. This is the first in a series of posts documenting the ongoing work of the division.